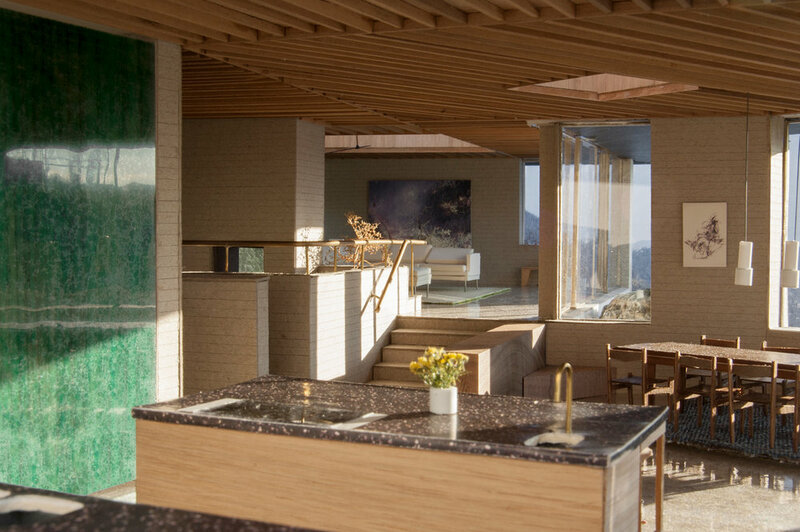 An exceptional house currently nearing completion in the Canadian Rockies nestled atop a rocky outcrop on the banks of Alta Lake and surrounded by seven peaks. Its form, materiality, and spatial experience are inspired by this landscape. A Gort Scott project. 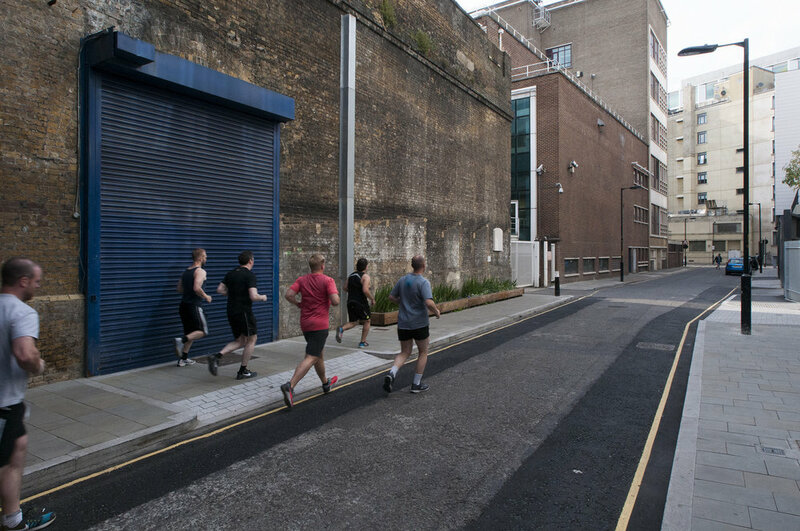 A public realm strategy in Bankside for the London Borough of Southwark, focusing on improving pedestrian and cycle links from the world class Thames waterfront to areas inland further south. This is an ongoing Gort Scott project, drawing on rich local history to strengthen the area's identity. A collective project creating a deployable tensile cinema designed to engage and enable conversations with residents of Lalibela, Ethiopia. A lightweight structure was made from a custom-stitched cocoon of common sports hall netting tensioned with looped tent pole ribs, easily and interactively unfurled in a variety of locations. The cocoon is a translucent projection room with a circular screen at one end, attracting cinema-goers like a glowworm to gather around it at screenings under starry skies to form the cinema itself. Cinema Lalibela occupied a warehouse as part of an installation and film screening programme at the Truman Brewery on Brick Lane during the London Design Festival 2009. 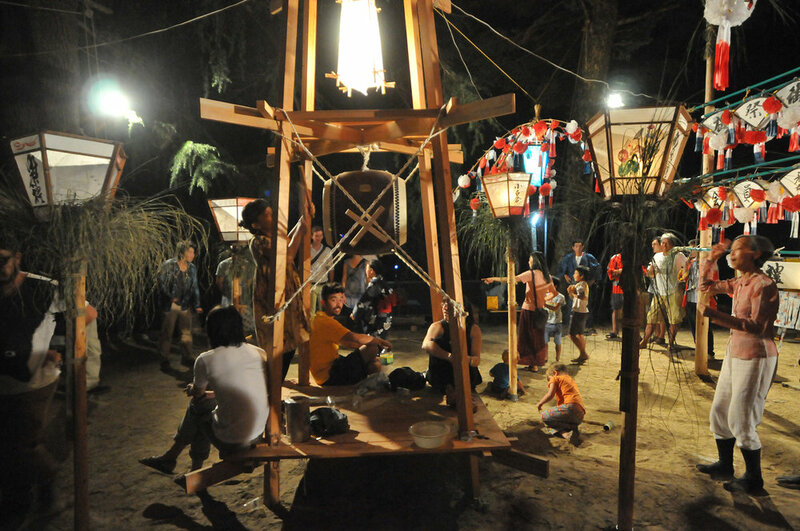 A yagura tower for housing a traditional drum during festive occasions in the Japanese village of Koshirakura, Niigata. Inspired by local joinery techniques, the yagura can be rapidly assembled without mechanical fixings from a minimal number of components. A collective project as part of the Koshirakura Landscape Workshop. The yagura serves as a focal point around which traditional (and not-so-traditional) dancing takes place. 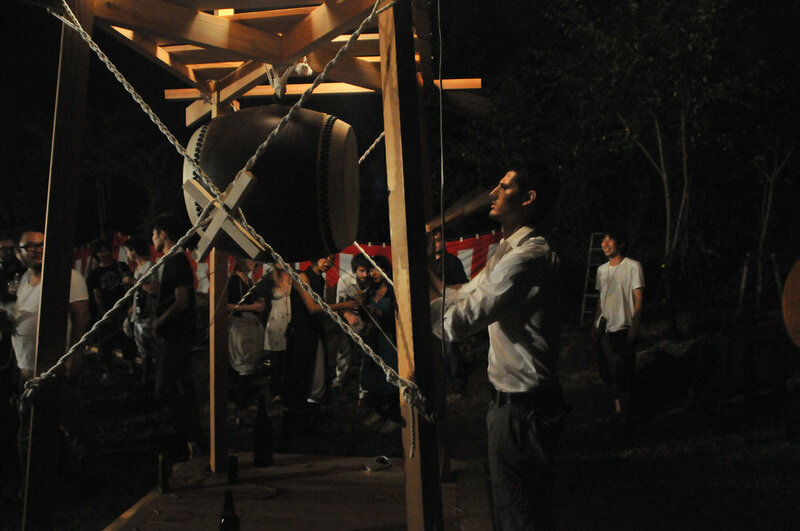 A collective project as part of the Koshirakura Landscape Workshop. The village drum itself is suspended from the centre of the tower and held in place using tensioned rope, locked in position with a set of lap-jointed timber pieces. A collective project as part of the Koshirakura Landscape Workshop. Proposal for Southall’s tallest building, a residential and office tower next to the Crossrail line, anchoring a wider area of new development and introducing a generous public realm. A Gort Scott project. 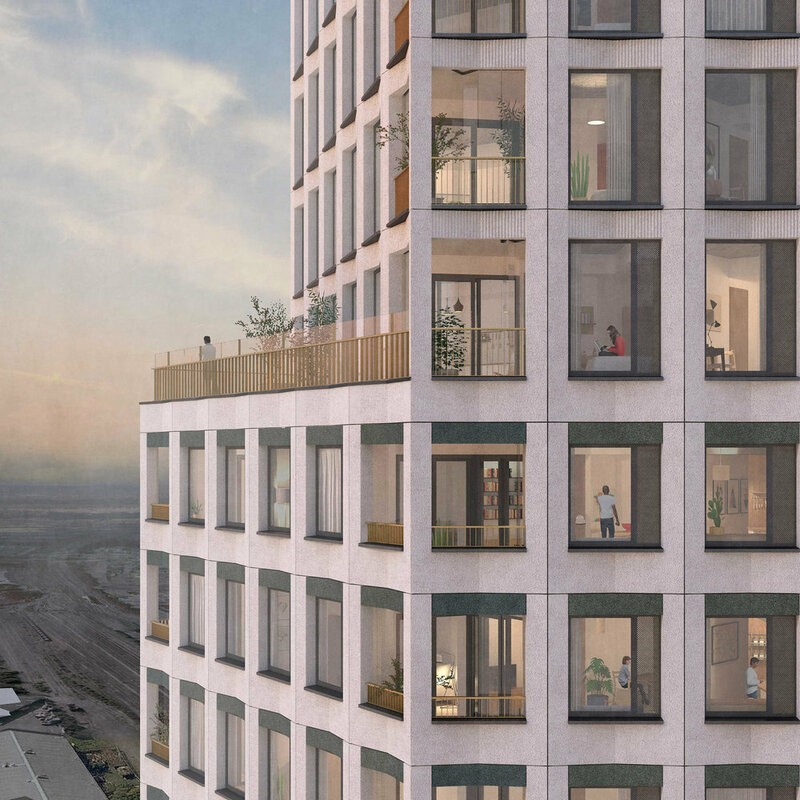 Elegantly-detailed precast cladding panels, with windows and winter gardens designed to overcome the acoustic challenge of being next to a busy railway and road junction, add rhythm and delight to the tower's facade. 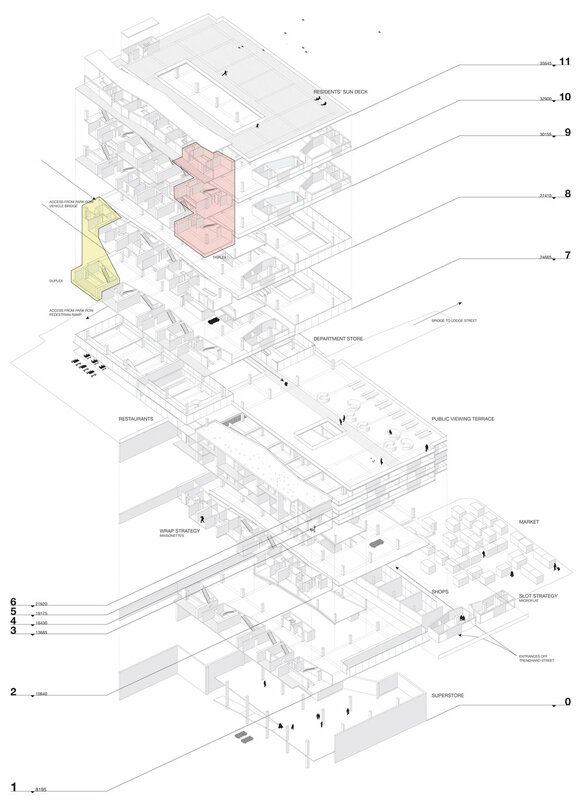 Generous terraces result from folds and articulations in the building's volume. A Gort Scott project. 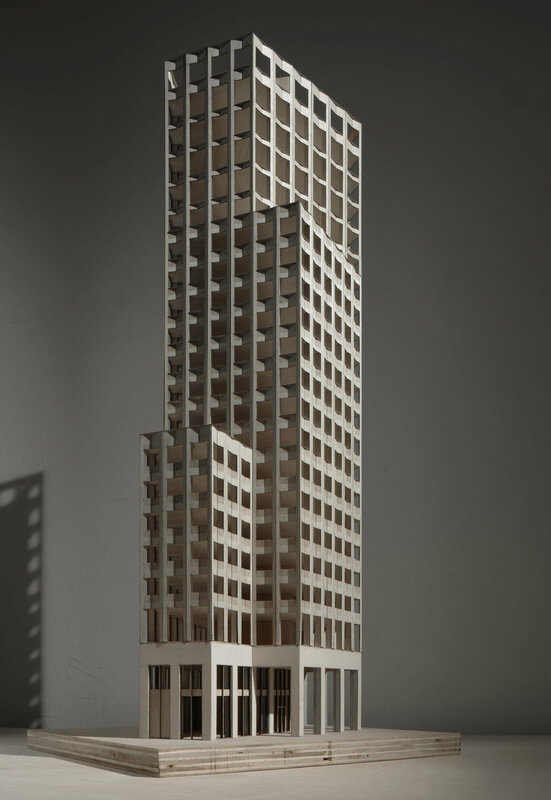 A group 1:20 scale building study of Mies Van Der Rohe's Lake Shore Drive apartment towers in Chicago within a Cambridge studio led by Tom Emerson (6a architects) and Jim McKinney (Tony Fretton Architects). 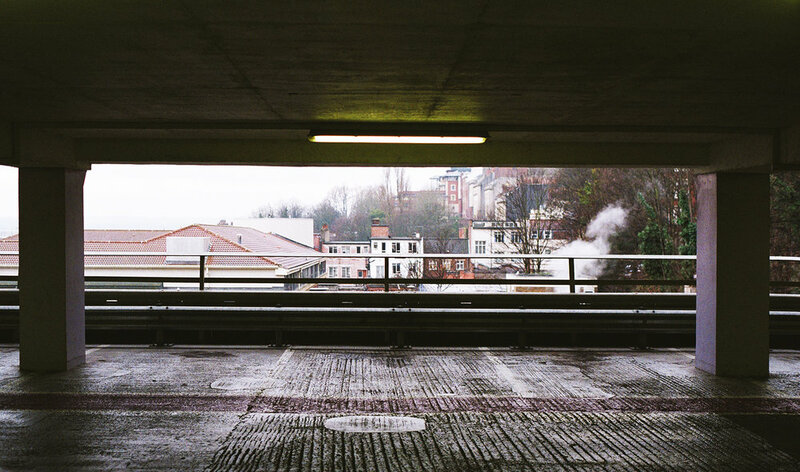 Radical reimagining of Bristol's Trenchard Street Car Park as infrastructure for a mixed-use housing development inspired by terraced houses negotiating the Clifton hillside's steep streets. A robust reinforced concrete grid frames views of the surrounding Bristol landscape. Designed for heavy car loadings, the structure offers redundant strength to be exploited when repurposed as housing. The idea of inserting maisonettes into the car park were tested with a 1:20 scale model of a structural fragment, here imagined reframing the same view. Maisonettes are set out to match the structural grid and take advantage of voids made by removing areas of slabs between beams for staircases and double-height living spaces. Floor plate incisions create tall voids allowing light to penetrate into a deep plan with a play of shadows. Refurbishment and extension of a Grade II listed family home opening up previously cramped ground floor living rooms. New and old spaces facing the existing garden are unified under a single gently coffered roof with an external band of charred timber cladding. A Gort Scott project. 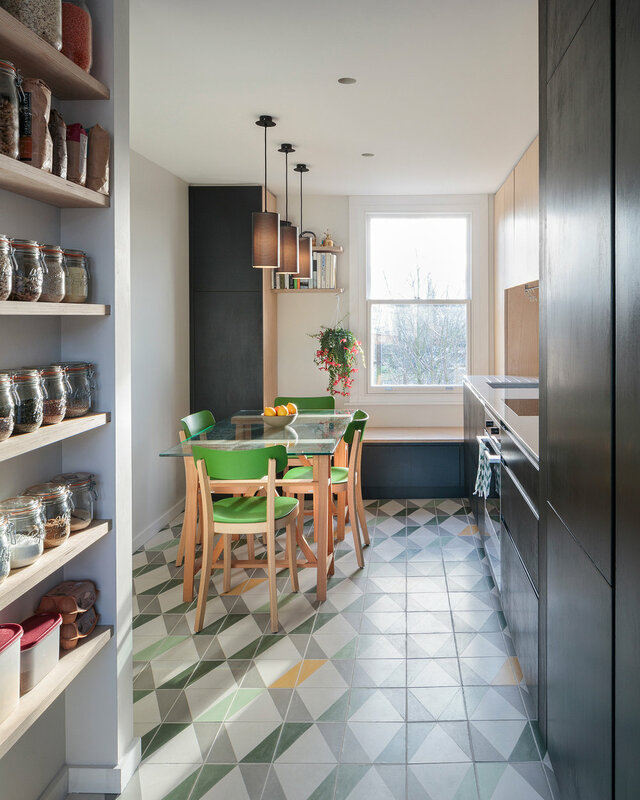 The kitchen forms part of a sequence of living spaces spanning from front to rear through the ground floor, culminating in a bright and open garden room. A Gort Scott project. Coffers in the white-painted ceiling are accentuated by a rhythm of timber boards carefully set out and matched to tailored seams. Together with large rooflights, they define different areas within the garden room. A Gort Scott project. 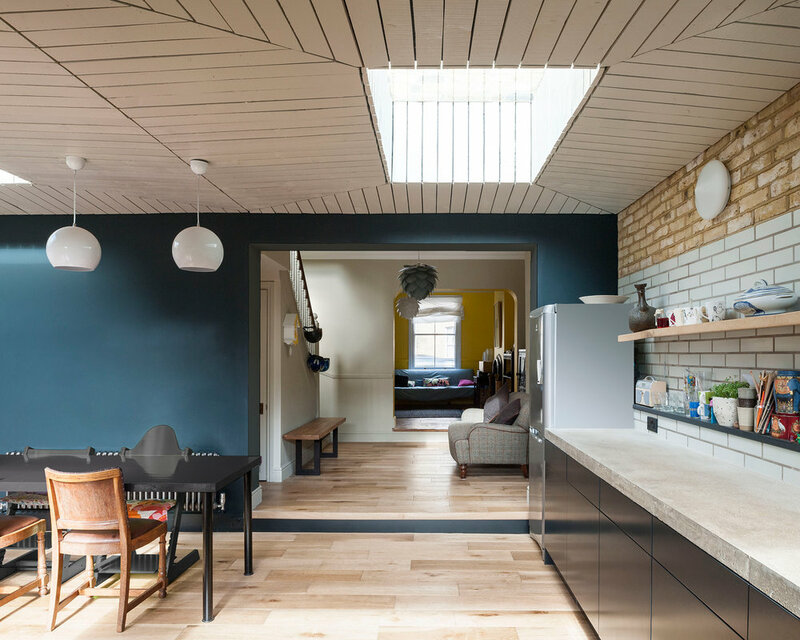 A clerestory window frames tree and roof tops, alleviating overlooking issues and flooding the kitchen with natural light using the ceiling as a diffuser. Existing windows from a previous extension are retained and incorporated. A Gort Scott project. Upstairs, a child's bedroom is made more spacious by making use of the available roof space for a bed deck and den with its own rooflight, reached by a plywood ladder. A Gort Scott project. AA thesis proposing urban farming as an anti-siege strategy for Lebanon's capital Beirut by empowering individuals to grow their own food using roofs and balconies. An abandoned former Holiday Inn is reincarnated as an urban farming community training and research centre funded by a sea-facing hotel. Located in a prime CBD location, the empty Holiday Inn is the fearsome symbol of a bloody civil war. Still offering largely unobstructed views, the tower was used by militia for sniping. The proposal positively repurposes this building to actively improve the city's food security. Self-reinforcing PET, a material for ballistic protection in military applications, is proposed for structural and cladding additions to the existing tower's concrete frame. This is because an abundant supply of waste plastic bottles exists owing to Beirut's poor tap water, providing for an innovative approach to sustainable construction. Competition-winning proposal for the AA Student Forum logo, inspired by the endless creativity of Lego.